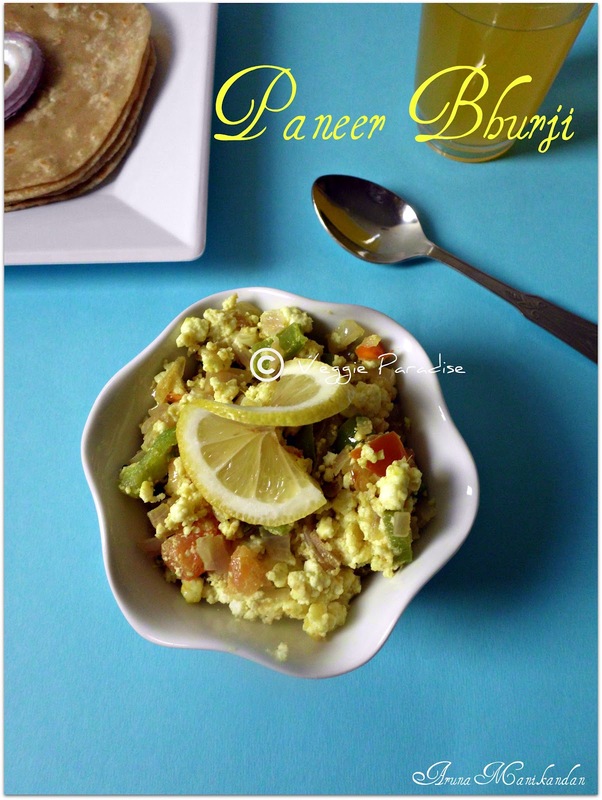 Paneer Bhurji - A simple dish cooked with paneer. This is a verstile and a protein rich recipe that goes very well with roti's :). Heat the oil in a pan. 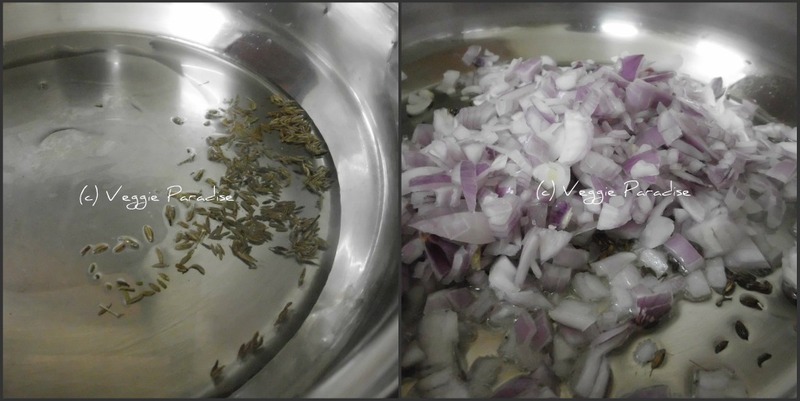 Add the cumin seeds and as they begin to darken, add the onion and fry until soft. Add the ginger-garlic paste and fry for a few secs. Add the capsicum and continue to fry for a couple of mins. 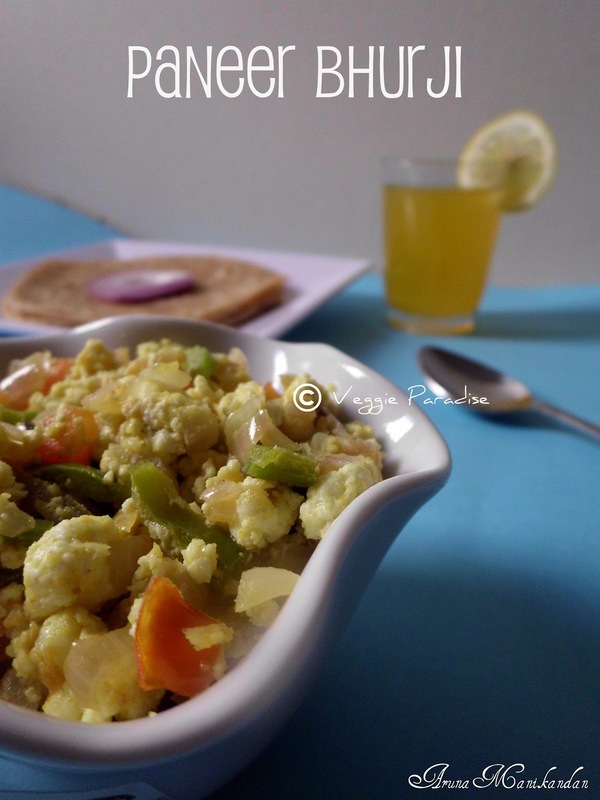 Meanwhile scramble the paneer and keep it aside. Add the tomatoes, along with spice powder and salt and mix well. Allow to cook until well blended. 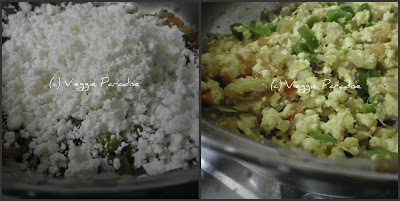 Stir in the scrambled paneer Keep stirring for few more min. Remove from heat and serve it hot. Deseeding the tomatoes is nothing but removing the flesh part. As I want the dish to be little dry I have the chopped tomatoes in this way. My recipe tastes less spicy , as I have skipped green chillies and chilli powder. You can adjust according to your taste. 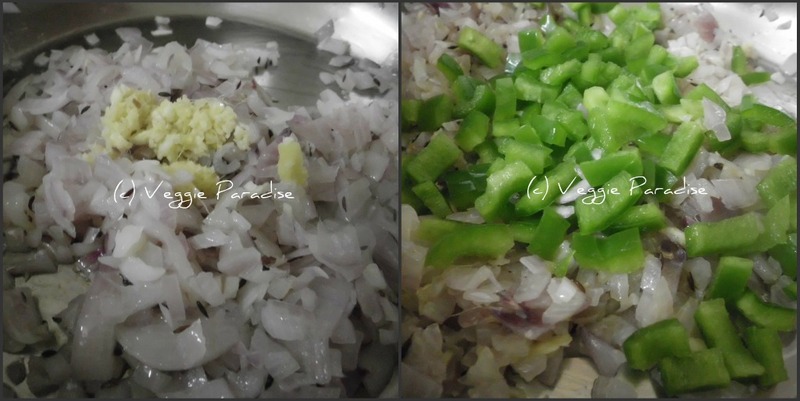 Beautiful pics n nice step by step pics this is an tiime fav reicpe..
Lovely dish.. My newly found favourite ..
Yummy dish, my daughter loves this.. Thanks for stopping by my blog..Glad to follow you. Fast to cook and good to eat paneer bhurji. Looks superb. i made this and it was licked clean...very good one for chapathis or rotis! All time fav...looks more yummy...well explained with beautiful pictures...Thanks! paneer bhurji looks great. 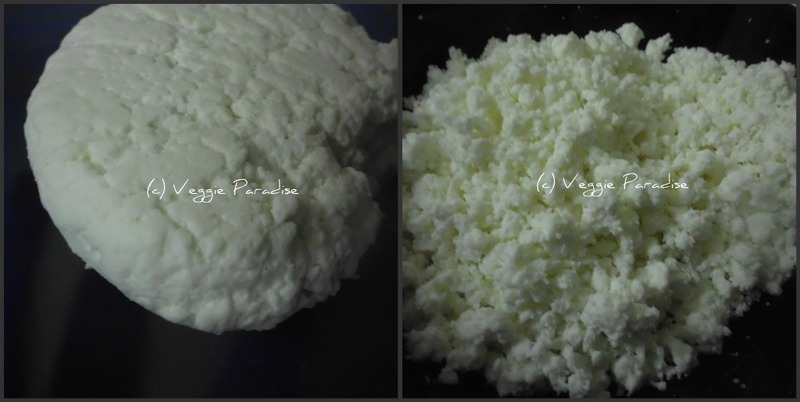 anything with paneer makes me tempted to try them out. lovely recipe.i love it with chapatis. 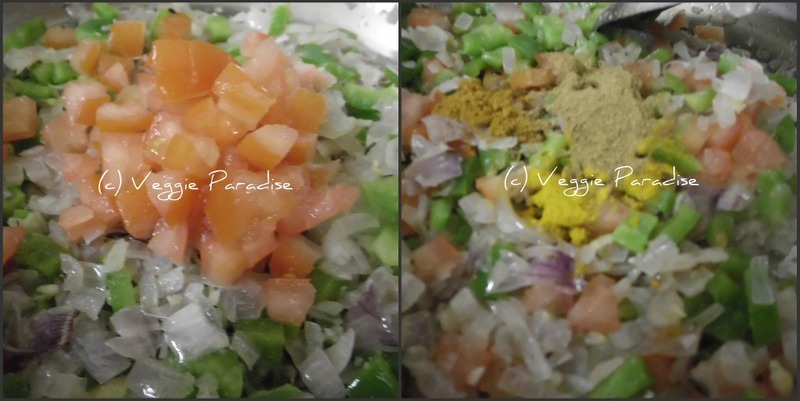 never say no to this recipe...love it..looks yumm. Paneer Bhurji looks gr8! I love this simple dish. Paneer bhurji is one of my favourite Indian dish because it can be made quite easily and in very quick time.